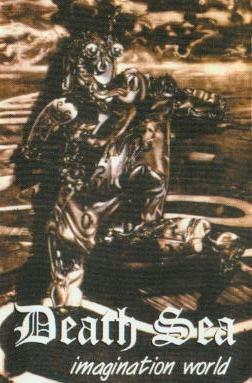 Death Sea was another name in the line of early '90s one album death metal bands. A name that probably never sounded familiar for many people and was forgotten very soon too. But their first and last album may worth for a little bit wider attention because of it's interesting and genuine impression. Similar to many bands that time they tried to pick up the new trends in the underground scene, but while others did that after trying themselves in old school style, they directly debuted with progressive influences. They involved the retro '80s relaxing soundtrack-like style like Schismatic did (probably it was a direct influence), but in their case these parts had less role and they didn't count that much on the effectiveness of surprise. Of course the light melodies are still unexpected and sudden, but they played death metal in a progressive, technical way too, so the contrast didn't become so strong and hilarious like in the case of Schismatic. Old school death/thrash influences are frequently returning to ease the chaos, so some kind of balance exists, even if it's a twisted one and may be not so easy to find. The main impression could remind to Cynic and Catacomb. "Imagination World" was a an interesting and surrealistic experiment (or imagination) on the extreme field.